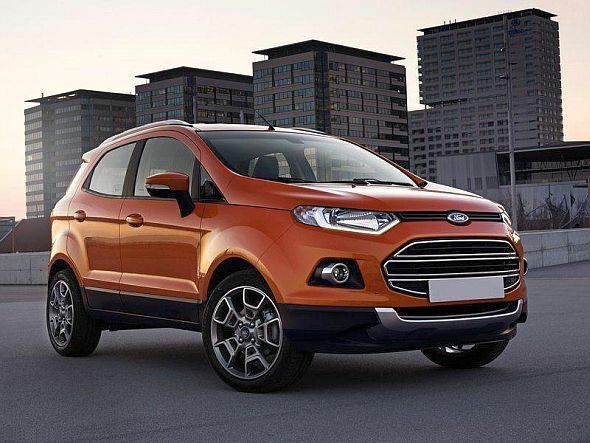 Ford India has reopened bookings for all variant of the EcoSport compact crossover. The American car maker had stopped taking bookings of certain EcoSport variants such as the EcoBoost turbo petrol engined variant and the 1.5 liter petrol automatic variant, which are now available for bookings. Here’s official word from Ford India. Ford India’s game changing SUV EcoSport is aimed squarely at delighting discerning customers in India by offering more than they expect. With 50,000 EcoSports delivered, we have significantly reduced the waiting period and are pleased to extend the opportunity to book the Ford EcoSport to more customers. Although Ford India’s Mr. Vinay Piparsania, Executive Director of Marketing, Sales and Service, states that the waiting period has been significantly reduced, the statement is evasive about the actual reduction in waiting time of the crossover. Bookings for most of the fast selling diesel engined variants though, had always been open at most dealerships. The crossover is Ford India’s biggest success in India, with sales crossing the 50,000 units mark in less than one year of launch. Apart from selling the EcoSport in India, Ford exports a large chunk of production from its Chennai factory to Europe. The EcoSport sold in India comes with three engine options, a fully imported 1 liter-3 cylinder EcoBoost turbo petrol motor that outputs 120 Bhp-170 Nm, a 1.5 liter-4 cylinder Ti-VCT petrol motor that outputs 108 Bhp-146 Nm and a 1.5 liter TDCI turbo diesel engine with 89 Bhp-205 Nm outputs. A five speed manual gearbox is standard across all engine variants with a dual clutch automatic gearbox offered on the 1.5 liter petrol engined variant as an option. The crossover is front wheel driven for the Indian car market with an all wheel drive version available in certain international car markets. In India, the crossover gets airbags, ABS+EBD and ESP in the top-end trim levels while airbags and ABS+EBD are standard across most versions save for the base trims.